So when you need to animate some element on a web page, the natural first thought is to think of it in terms of cause and effect - when the user hovers over this button, then animate it enlarging slightly. Now, if you’ve tried to actually do this with the CSS transition property, you know that’s not how it works. CSS transitions are declarative. You tell the browser what you want, and it takes care of the rest. This clashes with the imperative, step-based nature of programming. When does the transition happen? How do I decide what gets animated? "Whenever this property changes, apply that change slowly." So if you want to round the corners of a button when it’s hovered? /* Initial state: border-radius is 0. 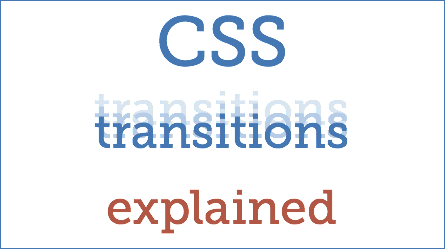 I hope this helped clear up the “how” behind CSS transitions!